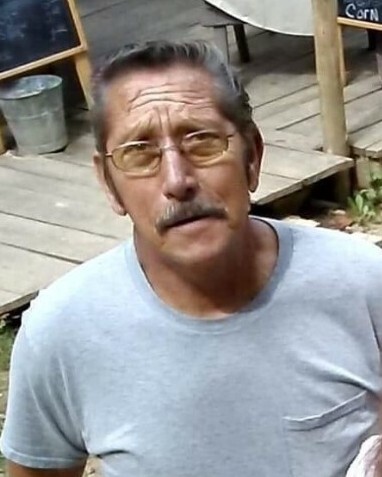 Albert Daniel Carver, 66, of West Portsmouth, Ohio, passed away Tuesday, Jan. 22, 2019 in SOMC Hospice Care Center in Portsmouth, Ohio. He was born in Scioto County, Ohio, Feb. 16, 1952, a son of the late Vernon Carver and Margaret Fishburn Carver. Preceded in death by one brother, Marcus Carver, Twin daughters and one grandson, Zachary David Carver. Surviving are his wife, Karen Penix Carver, daughters, Christy (Paul Crisp) Carver of West Portsmouth, Ohio, Lexi (Fred) Carver of West Portsmouth, Ohio, Peggy Carver of Sciotoville, Ohio and Julie (Albert) Ranieri of Franklin Furnace, Ohio, two sons, Randal (Misty) Carver of West Portsmouth, Ohio, Bill Carver of Wheelersburg, Ohio, four brothers, Ralph Carver, Kenny Carver and Ernest “JR” Carver all of West Portsmouth, Ohio, David Carver of West Union, Ohio, grandchildren, Spanky, Jake, Frogman, Quits and several others, several great-grandchildren. Funeral services will be held at 8 p.m. on Thursday, Jan. 24, 2019 at the Roberson Funeral Home in South Shore, Kentucky with Kenny Carver, officiating. Friends may call at the funeral home from 6 p.m. until the service hour at 8 p.m.